Programs give you an aggregated view to track status and progress across multiple plans. Programs let you see how deliverables and releases align across work streams, and aggregate scope data into high-level scope and schedule views. 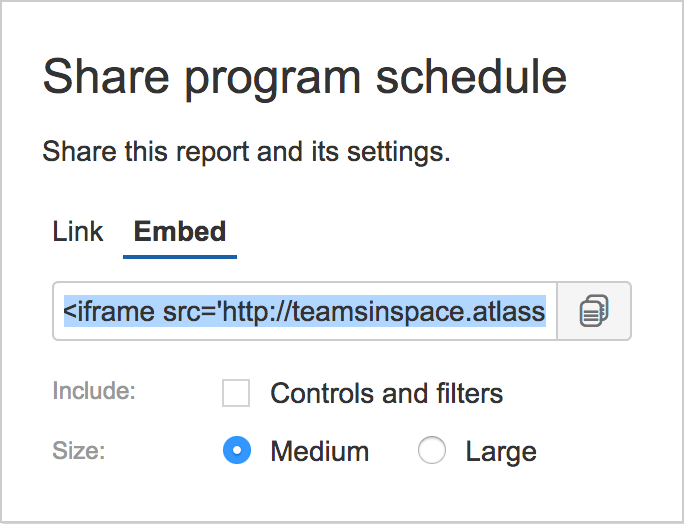 Portfolio for JIRA lets you share reports containing the read-only data of a program — from both scope and schedule views. Reports contain dynamic data from your JIRA instance. This means that the data you're sharing is the most updated from your JIRA instance. The consumers of a shared report must have the necessary program permissions to view the report. 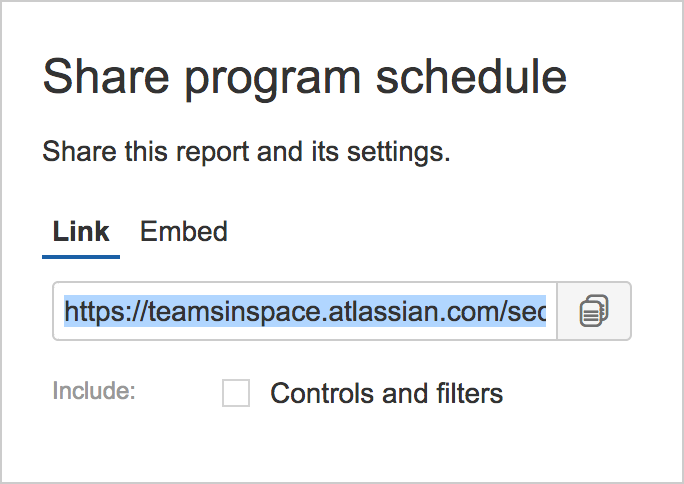 Before sharing a report, make sure you're logged into your JIRA instance, and that you have the necessary program permissions and Portfolio for JIRA permissions. Go to either the schedule or scope view of the program.